We provide Distribution Transformers that are generally small in size and filled with insulating oil. We make available Distribution Transformer in various sizes and efficiencies to suit diverse industrial applications. Power/Distribution Transformers are matchless in terms of reliability, durability and efficiency. We provide Distribution Transformers that are generally small in size and filled with insulating oil. We make available Distribution Transformer in various sizes and efficiencies to suit diverse industrial applications. Power/Distribution Transformers are matchless in terms of reliability, durability and efficiency. 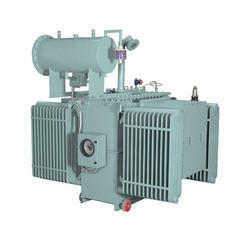 Our energy efficient range of Industrial Distribution Transformer is capable to withstand extreme voltage supply. We also provide installation, designing, Testing and commissioning services to clients.